His status as the Colts' first-round pick makes it unsurprising Phillip Dorsett is already flashing in practices. But it was hard not to be impressed by the rookie out of Miami who, in his first week working with veterans, seamlessly worked his way into the lineup — and then some. "It's definitely not too big for him," said quarterback Andrew Luck, who found Dorsett on a series of deep throws. Dorsett displaying his speed at the college level is one thing, but it's already obvious that his speed also translates to the pros. Dorsett also has displayed impressive hands. He had a drop early in Wednesday's practice, but he responded with some notable catches, including a diving grab on a skinny post route. He's also acclimating well in the classroom, where rookies often are most challenged. The Colts have Dorsett playing every receiver spot — both outside positions as well as in the slot. And he's handled the volume well for a kid who was drafted just three weeks ago. "I'm definitely picking up the scheme," Dorsett said. "They have me playing all over the place. Concept-wise, I'm definitely getting there." 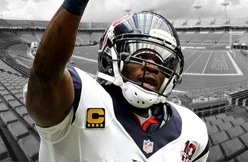 Andre Johnson set for big role on Colts? The Indianapolis Colts stockpiled offensive weapons for Andrew Luck this offseason. General manager Ryan Grigson added Andre Johnson, Frank Gore and rookie speedster Phillip Dorsett to an arsenal that already featured T.Y. Hilton, Donte Moncrief, Dwayne Allen and Coby Fleener. While the Houston Texans wanted to reduce Johnson's role in the offense -- precipitating his release -- the Colts appear poised to give the veteran a big part in their play. According to ESPN beat reporter Mike Wells, who was on hand for Colts OTAs on Wednesday, it was "pretty obvious" that the veteran will have a "significant part" in Indy's offense. Even if we normally can't glean a whole lot from OTAs, the note from Wells indicates that Johnson should clearly be considered the No. 2 receiving target behind T.Y. Hilton as we inch toward the summer months. Coach Chuck Pagano boasted that the transition of Johnson and Gore to the offense has been "pretty seamless," so the receiver's significant role in the starting offense shouldn't be seen merely a way to immerse the veteran in a new system. Earlier this offseason, colleague Chris Wesseling declared Johnson a "lead-pipe lock for 90 receptions and 1,000 yards if he stays healthy." Given what we've heard coming out of the Colts' camp already, there is no reason to backtrack from that forecast. GREEN BAY, Wis. -- Some undrafted players don't have much of a choice when it comes to where they sign. Those are the players who are just happy to get an opportunity anywhere. For priority undrafted free agents, however, the decision that follows the disappointment of not being selected is the most important one of their young football careers. The Green Bay Packers boast -- at least through their own independent study -- the NFL's best opportunity for undrafted players to make the 53-man active roster. It's a significant part of their sales pitch to the best of the best players who don't hear their names called. Aside from the raw research data of success rate, undrafted players also need to have a strong grasp on the depth chart of each team that's interested in them, especially at their position. It's for that reason that some might question why cornerback Ladarius Gunter would decide to join the Packers. Gunter watched as Green Bay picked Damarious Randall in the first round, with the team quickly making it clear that it viewed the Arizona State defensive back as a cornerback rather than a safety. Then, Gunter saw the Packers go with another cornerback in the second round, Quinten Rollins. That's in addition to Green Bay already having Sam Shields, Casey Hayward, Micah Hyde and Demetri Goodson under contract at that spot. Gunter, projected by NFLDraftScout.com as a sixth-round pick, didn't let any of that deter him from signing with the Packers. "I'm a competitor," Gunter said frankly. It was obvious that Gunter did not care who he'd have to beat out for a job. The three-year starter at the University of Miami was determined to find a way to make it in Green Bay. But it's not like Gunter blindly went with the Packers. He shares an alma mater with Shields, who signed with Green Bay as an undrafted cornerback in 2010 and is now working under a $39 million contract. The Packers also helped turn Tramon Williams from a 2006 undrafted cornerback into a player now entering his 10th NFL season. "I had watched those guys and watched where they came from, and see how Green Bay had worked with them and put them in good situations," Gunter said. Gunter added that the development of Shields and Williams "played a big part in it." Gunter didn't specify how many contract offers he received following the draft, saying only that it was "a lot of teams." Still, it didn't take him much thought before agreeing to terms with Green Bay. "I felt it was the best fit for me," Gunter said. "I knew that if I came in and competed that it would give me a chance." Cornerbacks coach Joe Whitt had that exact message midway through draft weekend after the Packers had selected Randall and Rollins. Draft position means nothing to Whitt when deciding who should be on the field and who should be on the bench. "If it's a first-rounder or a free agent, if you play well, you'll play," Whitt said. "If you don't, you'll sit there and watch. I hope both of these guys (Randall and Rollins) don't think they're going to come in just because of their pedigree that they're going to necessarily play in front of anybody else. That's not how it works in our room. The best guys play." That bodes well for Gunter if he comes out strong in training camp. Whitt's work since being promoted to his current position in 2009 is also beginning to enter the equation for undrafted cornerbacks. "Joe Whitt is excellent," head coach Mike McCarthy said. "His reputation of what we've done here in the past with our young corners speaks for itself. So, the culture is set, there's a blueprint there of taking young guys and getting them ready." Standing nearly 6-foot-2 and weighing 202 pounds, Gunter finds himself as the biggest player in Green Bay's cornerback room. Randall, Rollins, Hayward, Shields and Goodson are all 5-11. "With faster guys I can get my hands on them and slow them down," Gunter said. "Bigger guys, I can use my body to jump and play with those guys. (Size) plays a role in both situations." Gunter's size led to 50 percent of the NFL teams he spoke with during the draft process to view him as a safety. The Packers weren't one of those teams, but it doesn't mean they couldn't give that a shot at some point in an attempt to make Gunter more versatile -- and therefore, valuable -- to the defense. Gunter doesn't have the speed of Randall and Rollins. Gunter ran a 4.69 40-yard dash at the Scouting Combine, slower than both Randall (4.46) and Rollins (4.57). Gunter insisted that he plays faster than his timed speed, though. "Some people are fast in a straight line," he said. "I feel I'm just a football player. I'm not a track star. I play fast on the football field." It remains to be seen whether there's enough room on the Packers defense for Gunter to join fellow rookies Randall and Rollins on the active roster. But if there's one NFL team on which it might be possible, it's Green Bay. "The best players play, the next guys watch," Whitt said. There will likely be no developmental period for New York Giants rookie offensive lineman Ereck Flowers. Following a torn pec injury to incumbent starting left tackle Will Beatty, the Giants will be forced to fast-track the No. 9 overall pick from the 2015 NFL Draft. The Giants will be forced to shuffle the offensive line, and their new goal will likely involve getting the five best offensive linemen on the field even if that means moving some players out of their natural positions. Take a quick peak around the rest of what the Giants have to offer along the offensive line, and it won't take long to realize that Flowers is already one of the team's best five. If we assume Justin Pugh, Geoff Schwartz an Weston Richburg are locked in to starting spots, that leaves us with two positions to fll out. Flowers' challengers present a weak case to play over him. John Jerry started all 16 games for the Giants in 2014, but he finished as Pro Football Focus' 66th-ranked guard out of 78 qualifiers. The Giants singed swing tackle Marshall Newhouse who allowed 16 quarterback pressures, hits and sacks in just 373 snaps in 2014. He has performed poorly at every stop along the way in his NFL career so far. Fellow rookies Brett Jones an Bobby Hart can't claim to possess the natural talent and athleticism that Flowers has, and they certainly don't have his size. Giants general manager Jerry Reese has mentioned in the past that he expects first-round draft picks in the top half of the draft to make an impact right away. That's what those picks are there for. The Giants selected Flowers with the highest pick they've spent on an offensive lineman since 1974. At 6-foot-6 and 329 pounds, Flowers has the prototypical size to play offensive tackle in the NFL. He was also a very productive player at the collegiate level. In 2014, he was a plus pass protector at the University of Miami. According to Pro Football Focus, Flowers allowed zero sacks and 10 total pressures. Only two tackles in the 2015 draft allowed less pressures. Former Giants offensive lineman David Diehl said that Flowers reminds him of another great offensive lineman of their past--Kareem McKenzie. "He's a more athletic Kareem McKenzie," said Diehl to Jordan Raanan of True Jersey. "Have you seen him? You're talking about a 21-year-old monster. He is huge." Diehl is excited about what Flowers can become once Giants offensive line coach Pat Flaherty gets his hands on him. "He's tough and nasty, gets after people," Diehl said to John Schmeelk of Giants.com. "He's a fighter. He brings the intangible stuff that meeting room needs and also brings competition amongst the offensive line. The five best players will be on the field, and they will all have to fight and earn that job. Granted, there are technique things he needs to work on, but all of us needed to work on those things when we were that young. I have the utmost confidence and respect in Pat Flaherty, and I know he will be all over him and make him the best player he can be." Flowers is doing all of the right things so far in Diehl's mind. The rookie has made an excellent first impression on Diehl. "[Flowers] said one of the best things he could have possibly said to me that already struck me the right way and gave me a good impression of him," Diehl said to Jordan Raanan of True Jersey. "We're sitting there talking about coming [to the Giants] and everything. Before I walked away he said, 'I know you're around a lot. [The team] said you were. Do you mind if at any time if I have any questions about technique or footwork or different types of stuff if I can ask you?'" "Technically, he's got work to do, which a lot of these college kids do,'' Snee said. "With hand placement, his hands are often outside. I remember distinctly writing I was impressed with how he could anchor and hold his own with his hand placement being so poor. Physically, he's strong up top because he was able to get away with the technical errors. I read an article where he said he knows he has work to do, too. That's half the battle, he knows he's got to clean that up because you're not going to be able to get away with technique errors at this level, the defensive line will eat you apart. "This is one thing I definitely noticed, he was a different player at the end of the year than he was in the beginning, in a good way. The Nebraska game, he didn't have a good game, to be honest with you. At the end of the year, the false steps that I saw early on were eliminated, which was good. Hand placement had improved. Former Giants center Shaun O'Hara also took note of Flowers' nasty streak and willingness to finish plays. "A couple things that jump out at you when you see him on tape, for how big he is, he has pretty good feet, he's pretty athletic and he finishes plays," O'Hara said about Flowers to John Schmeelk of Giants.com. "To me, playing offensive line it has always been it's the size of the fight in the dog not the size of the dog in the fight. I think he has a little nasty streak in him, and it's all about effort when it comes to offensive line play, so I like that aspect of it." Current Giants offensive lineman Geoff Schwartz is impressed with Flowers' strength and physique, but he doesn't see Flowers winning the a starting job as an offensive guard. According to Schwartz, Flowers will have to compete to prove he is one of the team's best two remaining options at offensive tackle. "I definitely think Eric is a tackle, I don't see him as a guard," Schwartz told Armen and Levack, on 104.5 The Team. "He is very athletic. You have to be a certain type of athlete to play tackle and he fits that mold of long arms, strong and powerful. I'm excited to see him get after it." One thing we can be sure of is that Flowers will get every opportunity to win a starting tackle job this summer. During the Giants' rookie minicamp, he lined up primarily at left tackle, but the Giants may feel more comfortable preparing him to play on the right side now that Beatty is out. As a raw tactician, Flowers will certainly take his lumps, but he has the upside to hold down an offensive tackle spot for the Giants during the 2015 season. Given the current state of their offensive line, they are going to need him to realize that upside sooner than later. First round pick Phillip Dorsett hasn't taken long to impress his new team. The Colts' wide receiver is just two days in to OTAs with the team, but already he's catching the attention of coaches, players, and media. "He looks really good," head coach Chuck Pagano told the media after Wednesday's practice. "He's really fast. He's got really good hands. He's really smart. He's picked things up. He looks really good." That was a theme echoed by Colts quarterback Andrew Luck. Dorsett said that there's "no question" that playing with Luck makes the receiver better and that, "it definitely makes a difference. All of his balls are catchable and he's so smart. He knows what to do. He knows where to put the ball." Luck laughed when told of that statement and said that, "he has to be nice to me in the public. You have to say those things." The star quarterback is already impressed with the new receiver, however, and not just with his compliments off the field. "It's definitely not too big for him," Luck said of Dorsett adjusting to the NFL game. "He fits in very, very well. That being said, it goes for all the rookies on the offensive side of the ball. It's a bunch of guys doing some really, really good things and not missing a stride, not missing a beat. So it's fun to get those guys in the fold and work with them." Wednesday's OTA practice was open to the media, and Dorsett's play (and his speed) caught the attention of many in attendance. From what we saw, nice day for Phillip Dorsett out there. Early drop, bounced back with a few nice catches + burned secondary on one play. Best catch by Phillip Dorsett today came when he stretched out for a Matt Hasselbeck pass over the middle. Caught it in stride. When the Colts initially made the pick to draft Dorsett, it was greeted with near universal disdain by fans, but that feeling has softened over the past few weeks as fans have realized that the receiver is certainly a good player. He was the top available guy on the Colts' board at pick number 29 and therefore they took him, and they really like him a lot. After just a few workouts and two OTA sessions, he's already receiving praise from his coaches, his teammates, and the media alike. For Dorsett, it's simply a dream come true. "It's your dream," he said. "It's been your dream your whole life and now that you're here it's unbelievable. But now you have to take the next step and just go out there and do everything that you can to help this team win." If the early reports out of Indianapolis are any indication, Phillip Dorsett will do just that. INDIANAPOLIS -- There wasn’t expected to be any significant rough stretches for newcomers Andre Johnson and Frank Gore as they transitioned to Indianapolis after spending their entire careers in Houston and San Francisco, respectively. "Relatively smooth" is probably a better way to describe the transition for the two veterans. So smooth, in fact, that Chuck Pagano went as far as to say it’s like the two have been part of the organization for years. Gore's and Johnson's transitions are the most important of the new additions the Colts made in the offseason because of the roles they're expected to play next season. The Colts hope Gore will take some of the pressure off of quarterback Andrew Luck by being the team's first 1,000-yard rusher since 2007 when Joseph Addai did it. Luck, who watched Gore pound defenses with the 49ers while he was at Stanford, noted that the running back has underrated blocking skills. While the Texans wanted to reduce Johnson’s role in their offense, it was pretty obvious during Wednesday’s OTA session that the veteran will have a significant part in Indianapolis’ offense as he took his snaps with the starters. Could Duke Johnson be the Browns best draft choice? Will he be the next Clinton Portis or the next James Jackson? Of the 12 players the Browns recently drafted, could running back Duke Johnson turn out to be the most productive of all the draft picks? In just three seasons at Miami (Fla.) Johnson accounted for 5,526 all-purpose yards. His 3,519 rushing yards is the most of any former Hurricane running backs, eclipsing Ottis Anderson's all-time record. 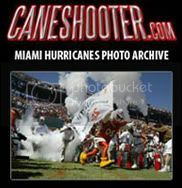 The Hurricane's list of former NFL running backs is a who's who listed of backs including the likes of Anderson, Portis, Frank Gore, Willis McGahee, Alonzo Highsmith, Lamar Miller and Edgerrin James. "I'm surprised," Johnson said after the Browns recent rookie minicamp. "I never had the idea of going to college and leaving the all-time leading rusher. My goals were the same as they are now and that is to win, but I think it is a great accomplishment knowing the guys that came before me. "I felt it was a good accomplishment," he said. "It is something and a legacy I can leave at the University of Miami. Hopefully, I can take that same mindset and same attitude to the next level." Johnson said it really hasn't set in for him what he's accomplished. "I'm still waiting because it really hasn't hit me yet," Johnson said. "I don't know what it's going to take, but it really hasn't hit me yet." Johnson hopes to have the same type of success that the others have. "I'm really hoping, especially with the majority of those guys going to the next level and having the careers they did," he said. "I'm really hoping that I can have the type of careers those guys had." Johnson said he's talked with the former 'Canes who've gone to the NFL before him and they've offered some tips to him. "I've talked with Edgerrin and Willis and they just told me to take care of my body to be healthy and being able to take coaching and to be on time." Johnson isn't satisfied with what he's accomplished so far and is ready to start contributing with the Browns. "I think I can show what I can do out of the backfield," Johnson said. "I think that's something we're trying to do in the offense and that is utilizing me in the passing game. Putting me out wide, giving (the defense) different looks and getting the ball in different ways besides running it and returning it." Jackson was a third-round draft choice of the Browns in 2001 (65th overall), who followed Butch Davis from Miami to the Browns, but didn't materialize at the NFL level. He is still fourth on the all-time Hurricanes rushing list, but had his best year as a rookie with the Browns with just 554 yards and two touchdowns. Similar to Jackson, Johnson is smaller in stature and likely wasn't drafted until the third-round because of his size (5-9, 206). Despite his height, Ray Farmer said Johnson is "not small". Johnson is confident he will be able to be successful at the NFL level. "I never doubt my skills," he said. "This is something that I've worked hard on since I was a kid to master my craft as we like to say it. "I never would get to the ultimate level doubting myself," he said. "I'm a little too far ahead in my life to start doubting myself now." Johnson said he thinks he can carry the load at the NFL level. "I'm going to do whatever they ask of me," he said "I'm a three-down back, third down do whatever I can to help this team win." Johnson describes himself this way. "I think I am unpredictable," he said. "I'm a one-cut kind of guy, hit a hole and see it. I can make things happen, very versatile out of the backfield. I can line up at receiver and create mismatches out of the backfield." 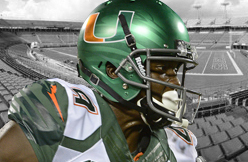 Johnson said although he has left the University of Miami, he carries "The U" attitude when he steps on the field. "I bring the same attitude," he said. "There's a swagger." If he can prove to be as successful as he was in college, Duke Johnson might prove to be one of the Browns best picks of this year's draft class. Green Bay Packers cornerback Ladarius Gunter may have been passed over 256 times during the 2015 NFL Draft, but now that the annual rookie selection process is over, that means little for his NFL future. Gunter, 6-foot-1, 202-pounds, has prototypical size for the corner spot in the NFL and performed very well at the Senior Bowl. 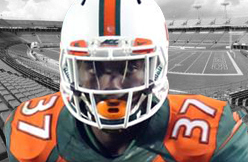 He finished 2014 at Miami with 28 tackles, six pass break ups and two interceptions. Despite his physical talents and quality production, a 4.69 40-yard dash at the NFL rookie scouting combine likely helped push Gunter down and completely off most draft boards. Now a Packer, Gunter seems to enter a crowded secondary field after Green Bay GM Ted Thompson spent the team's first two picks on safety/cornerback Damarious Randall and safety/cornerback Quinten Rollins. While Gunter seems unlikely to crack the active lineup his first season, with the Pack planning to have Randall and Rollins start their NFL careers at corner - they played mostly safety in college - should either player stumble, Gunter may actually have the inside track on one of the Packers 53 roster spots. "Given both players' potential issues at converting to new positions, Gunter could have the opportunity to stand out during training camp and the preseason to earn a roster spot. It won't be easy, but Gunter has a shot at winning the final corner spot on the Packers' roster," writes Charlie Campbell of Walter Football. With Davon House and Tramon Williams defecting to new NFL homes in free agency, Thompson and the Packers focused their draft efforts on the secondary in order to plug the holes left by their veteran departures. While Randall and Rollins will get the first few shots at securing starting jobs, if Gunter can show the same kind of playmaking ability he did at Miami, he has a better shot at playing right away than his undrafted status would suggest. Still, as Campbell notes, the knock against Gunter has and will continue to be his speed. "Teams aren't confident that Gunter can run with receivers and will be limited to only being a press-man corner against bigger, slower receivers. There were doubts that Gunter would be able to run with NFL receivers and prevent separation," writes Campbell. Despite concerns over his quicks, some, like NFL.com's Lance Zierlein pegged Gunter as a likely fourth or fifth-round pick. "Has the desired size, length and playmaking qualities to be a starting cornerback but his perceived lack of play speed and inconsistency in man coverage could cause teams to peg him as a zone corner, which might drop him by a round." Thompson and the Packers are consistently lauded for their ability to mine gems from the latter portion of the draft - if Gunter develops, he could prove the latest success story in Green Bay and, more importantly, potentially find himself making an impact on the team from Day One, perhaps in place of his more heralded new Packers teammates. It’s another for a 6-foot-6, 340-pounder to say it. But things are different in the land of Giants. After spending some time with the new draft class, Geoff Schwartz, one of the largest humans on the roster, came away with that impression -- and others -- of ninth overall pick and fellow offensive lineman Ereck Flowers. “Ereck Flowers is a big dude,” Schwartz said of the 6-foot-6, 329-pound rookie during an interview on ESPN Radio 104.5 FM The Team. “He is strong. We lifted together. He is a strong kid that I look forward to seeing. Last week Flowers put on the Giants uniform for the first time at rookie minicamp, which included his fellow draft picks, undrafted rookie free agents and dozens of tryout players. The camp got his feet wet before organized team activities start Wednesday, May 27. That’s when all eyes will be on where he lines up. Coach Tom Coughlin hasn’t committed to anything yet, but Flowers is a tackle and is expected to work on the right side initially. Flowers’ stature has drawn comparisons to Kareem McKenzie, the Giants’ former starting right tackle in Super Bowls XLII and XLVI. “I’ve seen Kareem a couple times, I don’t know if [Ereck] is that big,” Schwartz said. “Kareem has a big chest, big shoulders. 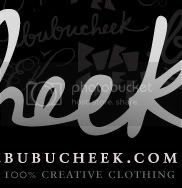 [Ereck is] 330. He’s a big man, but he’s very proportionate. Like you wouldn’t think he’s 330. That’s what makes him impressive, a guy who looks that lean and is that strong and big. When the Seattle Seahawks acquired All-Pro tight end Jimmy Graham from the New Orleans Saints for a first-round pick and center Max Unger, they knew they were getting a great talent. What they didn't know is how well Graham would acclimate to his teammates. Head coach Pete Carroll was asked about Graham by reporters at the end of the Seahawks three-day rookie minicamp. "Right from the first time I sat down with him in my office I was just blown away by what a great kid he is and how squared away he is," Carroll said. "We know he has great ability and athleticism, so we were really curious to see if he could assimilate, and he did it like instantly." Carroll loves the attitude and team-first mentality Graham has brought with him to Seattle. "He got along really well with the players," Carroll said. "The players really took to him and they didn’t know if he was a hotshot, or all full of himself. He was none of that. He was a great kid." Carroll knows the knock on Graham is his blocking abilities, but doesn't seem too worried. "He was very determined to be great," Carroll said. "Wants to learn everything. Wants to be a complete player." Ray Lewis is releasing a memoir about his childhood, his 17-year football career and the murder charges that threatened to lock him up. The retired Super Bowl champion Ravens linebacker and ESPN analyst announced Monday that he will release the book, titled "I Feel Like Going On: Life, Game, and Glory," in October. It is co-written by Daniel Paisner and will be published by Simon & Schuster Publishing. The memoir is billed as a "player's point of view" of Lewis' career and also promises new insight on "his father abandoning him, his best friend's murder and his own wrongful incarceration." Lewis and two friends were implicated in the killings of two men in Atlanta after the 2000 Super Bowl in Atlanta. Murder charges against him were dropped in exchange for testimony against his co-defendants, and he was found guilty of one charge of obstruction of justice. "Newly retired, Lewis reveals his controversial opinions on the business of football and offers insights about the torturous aspects of the sport that you don't see on television," the announcement said. "From a rookie player accused of murder to arguably the best defensive player in the history of the NFL, Lewis' story is one of triumph and tragedy, tenacity and strength." Lewis retired in 2013 as the Ravens' all-time career leader in tackles and fumble recoveries. The 13-time Pro Bowler and three-time AFC Defensive Player of the Year runs an eponymous foundation that supports disadvantaged youths in the city. INDIANAPOLIS --- Colts Associate Head Coach Rob Chudzinski is the mystery man on Chuck Pagano’s coaching staff. Pagano has praised the work done by “Coach Chud”, as he’s known around the building, but still the fascination has lingered as to what the role of this coach is, almost like an ace in the hole to go with Pagano’s coordinators and position coaches. Associate Head Coach is his true title in Indianapolis, but perhaps “Master Consultant” would be another appropriate title for Rob Chudzinski’s contributions to Chuck Pagano’s staff. 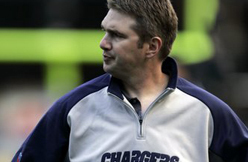 Internally though, the Colts definitely know what Chudzinski does and how good he is at it, evidenced by the fact that Indianapolis wanted and was able to retain him, after multiple teams were reportedly interested in making him their offensive coordinator. It’s easy to imagine that feeling of being wanted was probably not lost on a man who was only given one year with his previous team. Chudzinski said being a part of a Super Bowl winning team is what drives him every single day, that it’s absolutely one of his individual goals in his career, after he made the jump to the NFL in 2004 from the University of Miami. He was on the Hurricanes staff with Pagano from 1995 to 2000. But if winning the Super Bowl is the ultimate goal, then reaching it must include achieving countless smaller goals along the way, including right now in the offseason. That’s what Chudzinski’s role entails right now. But when the season came around in 2014, Chudzinski’s role as Special Assistant to the Head Coach shifted, and this year as Associate Head Coach, it will shift again. For Chudzinski, that now includes Chuck Pagano, just the second head coach in NFL history to win at least 11 games in his first four seasons. So it may be a different role than what Chudzinski has been used to in the past, but for him, there’s definitely one big perk to the job in Indianapolis. 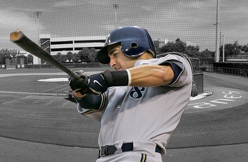 Brewers designated hitter Ryan Braun went 1 for 2 at the plate in Milwaukee's 5-2 loss to the Tigers on Wednesday. Braun did his damage in the fourth inning when he blasted a solo shot off of Shane Greene, his 10th of the season and second straight day with a home run. Braun, who also walked twice, is now hitting .263 with 28 RBI in 137 at-bats this season. 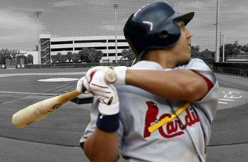 The Cardinals are optimistic that Jon Jay (wrist) will be ready for activation from the disabled list when first eligible on May 26. Jay has resumed taking swings in the batting cage and has also done some throwing. The throwing had been the bigger issue prior to him landing on the disabled list, so that he completed that step with no issues is obviously a good sign. Peter Bourjos and Randal Grichuk will continue to handle center field until Jay returns. 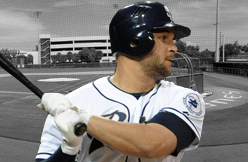 Padres first baseman Yonder Alonso is "still a ways away" from return to baseball activities, manager Bud Black said per Bleacher Report. Alonso, who is currently on the 15-day DL with a shoulder injury, has a rotator cuff issue that is keeping him away from the field. Alonso has been out of action since May 8 and is hitting .333 with 10 RBI in 87 at-bats this season. The San Francisco 49ers announced they have signed CB Mylan Hicks to a three-year deal and OL Justin Renfrow to a two-year deal. Renfrow (6-6, 310) originally signed with the Arizona Cardinals as an undrafted rookie free agent on May 12, 2014. He was waived by the Cardinals on August 25, 2014, and later added to the Green Bay Packers practice squad on November 24, 2014, before being released on December 29, 2014. He was then added to the Seattle Seahawks practice squad on January 1, 2015, where he spent the remainder of the season. Renfrow was signed to a Reserve/Future contract with the Seahawks on February 4, 2015, and was later released on May 5, 2015. 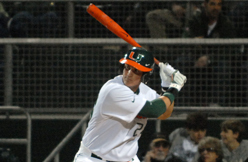 A 25-year-old native of Morrisville, PA, Renfrow transferred to the University of Miami for his senior season following four years at the University of Virginia (redshirted as a freshman in 2009). As a senior in 2013, he recorded a career-high 36 tackles, two passes defensed and one forced fumble in 13 games played (four starts) along the defensive line. Renfrow appeared in 22 games at Virginia and registered 18 tackles and one pass defensed. He prepped at William Penn Charter School in Philadelphia, PA.
Warren Sapp used to make his money by collecting sacks. Now, he’s saving some money after allegedly throwing a couple of working girls out of the sack. According to TMZ, the former Buccaneers/Hall of Fame defensive tackle has pleaded guilty to a lesser charge, resolving his arrest on prostitution and assault charges in Phoenix during Super Bowl week. 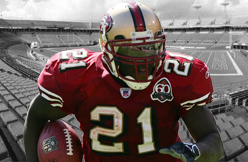 The report says that Sapp will plead guilty to one count of solicitation and one count of assault. To resolve the charges, he has to complete a pair of counseling programs, the “Prostitution Solicitation Diversion Program” as well as an anger management course. He has apparently already completed the prostitution course (which would lead to the charge being dropped), and is working on completing the other counseling program now. Sapp has also been ordered to pay restitution to each of the two prostitutes, $150 to one and $1,171.24 to the other. Considering the fight broke out after Sapp thought he had agreed to terms for $300 for each of them — before everybody got naked — and then an argument erupted, that’s a stiff fine. But considering he has already lost his job over the sordid affair, cutting this deal might allow him to clear his name soon. Such that anyone’s ever going to forget this one. Denzel Perryman was born in Miami. He was raised in Miami. He attended Coral Gables Senior High, its campus four minutes from his college alma mater, the University of Miami. The NFL veterans he speaks to regularly — Jonathan Vilma, D.J. Williams, Jon Beason, Sean Spence — all were former college linebackers, like him, at Miami. 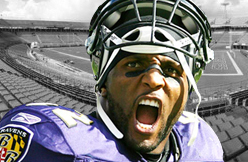 The same goes for his favorite childhood player, Ray Lewis, whose No. 52 he wore in college and will again in San Diego. The wrench to it all. He knew next to nothing about the Chargers when they drafted him May 1, surprised they even had his number. But they'd been watching him. At a game last year, General Manager Tom Telesco heard him. Perryman wants to show San Diego it was right — and Miami, in this case, was wrong. The 21-year-old seemed destined never to leave South Florida. The Dolphins intimated as much, he said, expressing intent to draft him. But they let a chance pass with the No. 47 overall pick, trading back to the Eagles instead. The Chargers selected him at 48. He's now acclimating to a new town while awaiting a reunion with his old one. San Diego will host Miami this year. "I can't wait to play the Dolphins," Perryman said. "December 20. I've already got it circled on my schedule. It's the hometown team, and it's one of the teams that passed me up. ... They were talking to me, telling me all this good stuff. We're all grown. You can tell me you're going to take me or not. Don't sugar coat with me. It is what it is. "But Dec. 20, it's on and popping. Every other week, too." 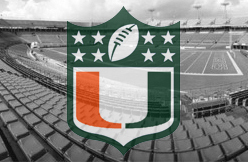 Perryman must first transition to NFL life in San Diego. It began later than planned. Typically, a Chargers draft choice taken in the first three rounds will be flown to San Diego the next morning. Once there, he can shake hands, meet coaches and the front office, and be introduced in a formal press conference that is held in the team meeting room. First-round pick Melvin Gordon did it this year. Third-round pick Craig Mager did it. Perryman, go figure, couldn't get out of Florida. His flight was canceled and other ones were full, so he stayed in Miami a bit longer. He eventually made it to San Diego on May 10 and has been gaining comfort since, inside linebacker Manti Te'o and defensive end Corey Liuget among the teammates taking him under their wing. "I've been going asleep at like 9 or 10 o'clock over here," Perryman said. "Back home, it's like 12 or 1. I'm just trying to get adjusted to the time change. I hear San Diego is just like Miami. Beautiful but no humidity. I love it." As general manager, Telesco can't spend as much time on the road as he did early in his scouting career. But when he can, he makes the time. The Chargers predominantly play on Sundays, allowing him to scout a Saturday game that is relatively close to where the team is playing. Last year, it played the Dolphins on Nov. 2 in Miami Gardens. The day before, he and JoJo Wooden, team director of player personnel, watched North Carolina at Miami. The Hurricanes had the game in hand, up 47-13 in the fourth quarter. The Tar Heels were at the goal line, more than 100 yards from where Telesco was positioned in the press box. That is when he heard, not saw, Perryman smother running back T.J. Logan for no gain. The sound filled Sun Life Stadium. Telesco asked Wooden if that was No. 52. On May 1, teams approached the Chargers to trade down in the second round. They chose to take their thumper instead, born, raised and imported from Miami. "I just like contact," Perryman said. "I'm one of those aggressive players. ... When I get to the ball, you'll know. Whether you hear it or you see it, I'm getting there with bad intentions." The Chargers got what they wanted when Denzel Perryman slipped to them in the second round of the NFL Draft. But it'll be a couple months before Perryman gets what he wants -- to slam full-force into an opposing player and bring them down. 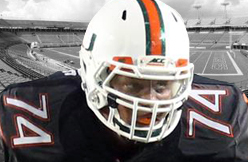 "I just get an adrenaline rush out of it," Perryman told ESPN. "I wouldn't say it's a stress reliever, because I can deliver a couple blows during the game. I don't know, I just like contact man. I'm just one of those aggressive players." So aggressive that the rookie could revive his school's sterling reputation for all-everything inside linebackers. 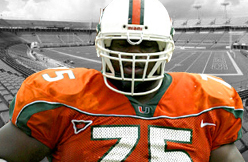 Miami alums like Jon Beason, Ray Lewis, Jonathan Vilma, and D.J. Williams have paved the way for Perryman. Now, he just wants to do what they did and hit somebody for a living. "When I get to the ball, you'll know," Perryman said. "Whether you hear it or you see it, I'm getting there with bad intentions. You got to look out for me." Feliciano is the fifth of the team’s 10 draft picks from the 2015 NFL Draft to sign his rookie contract, along with WR Amari Cooper, DE Max Valles, T Anthony Morris and WR Andre Debose. The 6-foot-4, 323-pounder was selected 128th overall by the Raiders in the 2015 NFL Draft. He played four seasons at Miami (Fla.), appearing in 48 games with 46 starts. Feliciano made starts at left tackle, left guard, right tackle and right guard over his collegiate career, earning All-ACC honorable mentions each year from 2012-14. The Davie, Fla., native started all 13 games as a senior, rotating between left tackle, left guard and right tackle, helping the Hurricanes to the Duck Commander Independence Bowl. 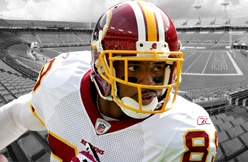 Add Santana Moss to the growing list of aging veterans unwilling to call it quits. The 35-year-old wideout remains confident that he will find an NFL team before training camp kicks off. "I'm a free agent right now, you know how they do us old guys," Moss said, per 247sports.com. "I'm going on my 15th year. Right now my agent is talking with some teams to see what's going to be my best scenario. Right now I'm just chilling, just enjoying life, and enjoying this off time." Turning 36 in June, the former Jets and Redskins wideout is coming off a season that saw him catch just 10 passes for 116 yards off 133 snaps in Washington. While Michael Vick's campaign for another gig is bound to draw interest, Moss will struggle to make a roster. Before the draft, the Redskins reportedly were open to re-signing Moss, but after using a fourth-round pick on Duke's Jamison Crowder and a sixth-rounder on Ohio State's Evan Spencer, there's no need to reunite with a late-30s pass-catcher beyond his prime. Seattle's rookie minicamp wrapped up last weekend, and while the workouts gave the Seahawks coaching staff a good first-look at the team's 2015 draftees, it failed to offer the club an on-field glimpse of its "first-round pick" - Jimmy Graham. The Seahawks acquired the three-time Pro Bowl tight end in a trade with the New Orleans Saints this past March. Seattle sent this year's first-round pick (No. 31 overall) and center Max Unger to the Saints in exchange for Graham and New Orleans' 2015 fourth-round pick. At the conclusion of the three-day rookie workouts, head coach Pete Carroll was asked about his initial impressions of the 28-year-old veteran Graham, a 6-foot-7, 265-pound pass catcher who's averaged 89 grabs for 1,099 yards and 11.5 touchdowns the past four seasons. Graham was one of several Seattle players who joined quarterback Russell Wilson for player-organized workouts in the Hawaiian Islands last month. Graham used it as an opportunity to start building rapport with Wilson, but more importantly, as a chance to get to know his new Seahawks teammates. "I'm like that cousin they didn't know about," Graham said with a smile at the time. "I've just got to come in and just be me. I work hard and I'm a team guy. I've always been like that. I love to win no matter what. "I'm going to do whatever it takes to win and really to be a part of this, because they've got something special going on here." From what Carroll's seen so far, Graham's team-first attitude is paying dividends at team headquarters. The Saints threw the ball 659 times in 2014, the second-most attempts in the League (Indianapolis Colts, 661). Graham found himself on the receiving end of 85 of those passes - a team-high. The Seahawks, meanwhile, tossed the ball a League-low 454 times this past year. They opted to run the ball more than any other club instead, riding the legs of 'Beast Mode' back Marshawn Lynch. While Graham is expected to be one of the team's top receiving targets in Seattle, he will inevitably be asked to block more than he did in New Orleans given the Seahawks' run-first mentality. It's a change assistant head coach/offensive line coach Tom Cable thinks Graham will have no problem adjusting to. Cable's "want to" assessment of Graham was something Carroll picked up on during his first sit-down with the Seahawks' "first-round pick." The Houston Texans website published a video last week, showing their players as they filmed in-stadium game-day videos to be used during the 2015 season. At certain points, it looked like a Patriots reunion. Among the players featured in the video were former New England backup quarterbacks Ryan Mallett and Brian Hoyer. Defensive lineman Vince Wilfork also featured prominently in the brief clip. 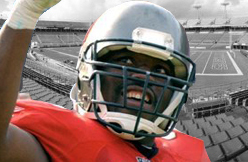 Here's a link to the video and a first look at Wilfork in his Houston Texans uniform. Of course, the Patriots influence in Houston isn't limited to the players on the roster. Former New England offensive coordinator Bill O'Brien is running the show as Texans head coach. Defensive coordinator Romeo Crennel had a long run on the Patriots sidelines, and linebackers coach Mike Vrabel has three Super Bowl rings with the Flying Elvis design. Unfortunately -- as of now, at least -- there is no video on the Texans site of those three mean-mugging for cameras, trying to get their hometown fans pumped up. Cardinals safety Tyrann Mathieu isn’t worried about the departure of defensive coordinator Todd Bowles this offseason. Bowles and cornerback Antonio Cromartie are now with the Jets, but Mathieu said during an appearance on NFL Total Access that the team’s “core players” are still around on defense. That gives him confidence that the team will be able to remain strong on defense in 2015 as they try to replace the Seahawks as NFC West champions. 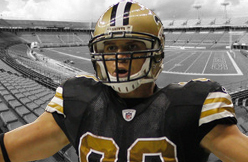 One difference in that task this season will be the presence of tight end Jimmy Graham in Seattle. When asked about facing the former Saint, Mathieu jumped on a maligned part of Graham’s game that’s been mentioned frequently since March’s trade sent him to Seattle. Seahawks offensive line coach Tom Cable said this month that Graham is committed to learning what the Seahawks want him to do as a blocker and wide receiver Doug Baldwin pointed out that Graham’s presence alone can help in the running game, but there’s little doubt that Graham’s progression as a blocker in Seattle will be closely watched as the NFC West race unfolds later this year. One player who was on the court at Edison High School in front of about 200 cheering fans was guard Riquna Williams, who missed all but 11 games last season with a knee injury. She was happy to be back and felt good on the floor. Fred Williams noted Riquna Williams wasn’t 100 percent, but he was happy to have her back on the court and looked forward to seeing what she could accomplish when she finally was. 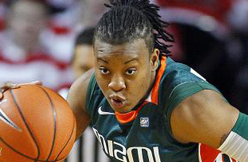 Riquna Williams, who set the WNBA record with 51 points in one game in 2013, averaged 15.6 points per game in 2013 and formed a potent backcourt early on last year alongside Odyssey Sims and Skylar Diggins. She’s looking forward to duplicating that same chemistry this season. Riquna believes this is the year everything comes together for Tulsa, which has yet to make the playoffs in its five WNBA seasons. Yasmani Grandal's run-scoring single in the fourth inning would be the only run scored in a 1-0 Dodger win over the Rockies on Sunday. Grandal finished the game 1-for-2 with a walk. The two-out RBI single off of Kyle Kendrick gave Grandal 17 RBI for the season. He's also hit four homers and scored 17 runs. The catcher's been in a groove offensively and has a season-slash of .301/.421/.484 while helping to lead the 24-13 Dodgers.